So much yarn, so little time. 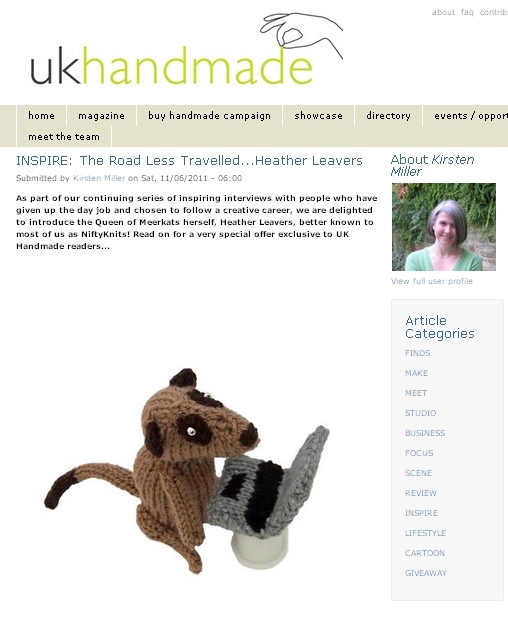 : UK Handmade feature! Hi Heather - It was so nice to read the interview and get to know more of you. Must be so nice to watch TV and work simultaneously - good for you! Thanks for dropping by my blog and touching base. Hope you'll do so often. Also hope the sale of your house isn't getting to you - remember to keep your "eye on the prize", whatever that may be for you!